Dr. Thadshika Parthipan was trained in the UK as well as here at the University of Waterloo. She completed her degree in Optometry and Visual Science at City University, London, UK in 2006 and pursued her career as an optometrist in England since then. She achieved the Opticians magazine award for best clinical skills practice. Her training at Central Middlesex Hospital, UK with fellow optometrists and ophthalmologists, in the binocular vision and pediatric clinic has gained her a lot of experience. Dr Parthipan moved to Guelph in 2010 to pursue her career here in Ontario by completing her training at the University of Waterloo in spring 2010. She has experience in all aspects of optometry and welcomes new patients of all ages. 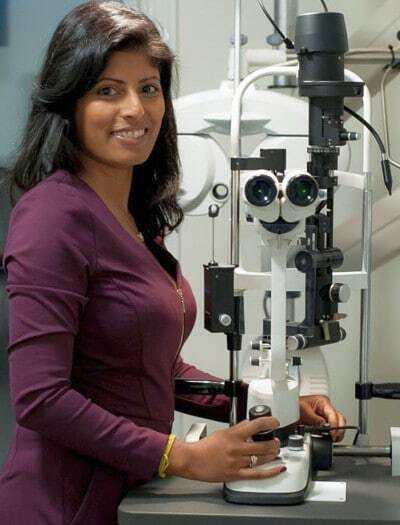 Dr. Parthipan is a member of the College of Optometrist and The Ontario Association of Optometrist.